GRAHAM DAWE was delighted Cornwall were able to defend the County Championship title for the first time in their history on Sunday. The Duchy won the crown for only the fourth time last year when the beat Lancashire 18-13 at Twickenham. And they backed that up with an impressive 35-13 win over Cheshire at English Rugby’s HQ this weekend, with all their points scored by players who featured for Plymouth Albion in 2015/16. “It is certainly hard winning it outright,” said Dawe. “But to follow it up and win back-to-back titles is particularly hard. “It was a great, complete performance – all 22 guys contributed well. “Our penalty count was low, our error count was low, our scrum got really good, our line-out functioned well and our defence, apart from a couple of occasions, held well. 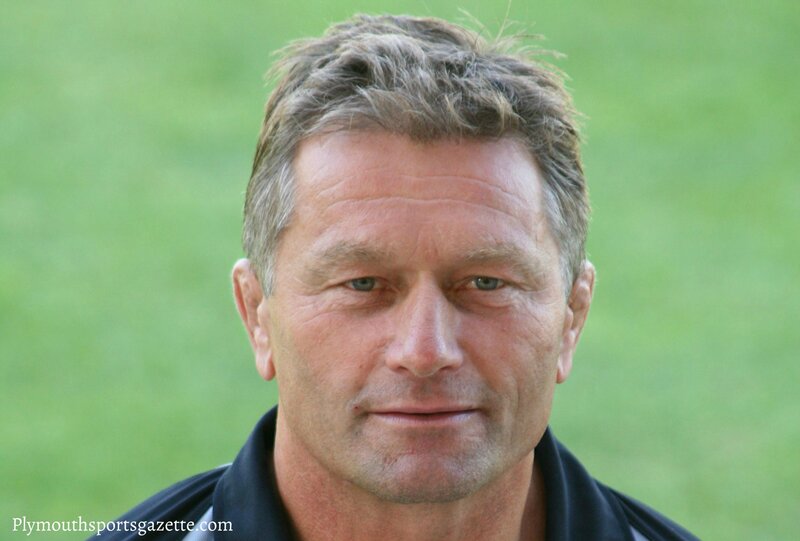 Dawe has been involved in 11 County Championship finals for either Cornwall or Devon, winning it as both a player and a coach with both counties. He won it three times with Devon, including back-to-back titles in 2004 and 2005, and has now won it three times with Cornwall. His success came after a difficult few weeks, which saw him leave Albion following the arrival of new owners, despite guiding them to an impressive season in National One. He is also looking to continue his involved with Cornwall next season. “I hope so,” said Dawe, when asked if he would be involved with the Duchy in 2017. “I have thoroughly enjoyed working with these players. “All those players want to play for that shirt and do it for each other. They love playing for that shirt and that badge. Despite Cornwall always looking in command, Dawe said it was only when Matt Shepherd scored a fourth try that he felt he could relax.